Partners: Ministry of Hill Country New Villages, Infrastructure and Community Development; Plantation Human Development Trust (PHDT); Estate Workers Housing Cooperative Societies (EWHCS); Regional Plantation Companies; The Central Provincial Council; District and Divisional Secretariats and Local authorities in Nuwara Eliya District, KOICA Volunteers. 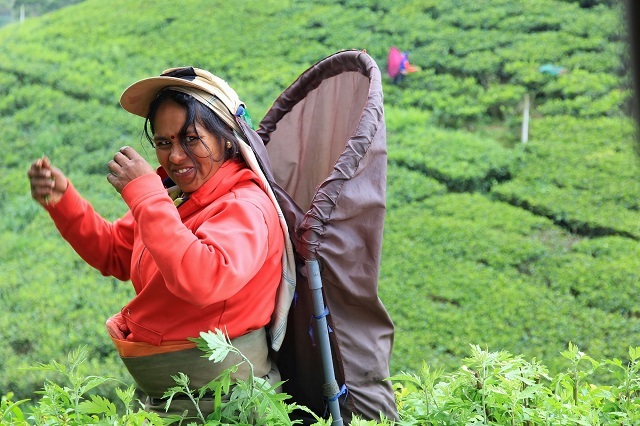 The plantation sector, with a population of one million people, is characterized as the least developed and poorest in the country. According to Government sources, the main issues faced in plantation settlements are access to clean water, sanitation, access roads, bridges and culverts, electricity and housing. The Nuwara Eliya district, located in the central province of Sri Lanka consists of many plantation settlements. 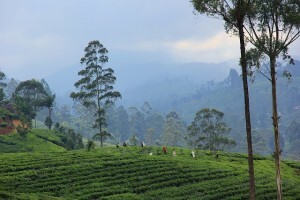 In addition to social fragility of the communities, the central hills of Sri Lanka are listed as an environmentally fragile area in the National Physical Plan of Sri Lanka. Much of the landslide prone areas are also located in the plantation zones including surrounding villages. Recent landslides have also focused attention on land tenure issues faced by plantation communities and the Government is committed towards improving their living conditions as envisaged in the National Plan of Action for Plantation Infrastructure Development (NPA). 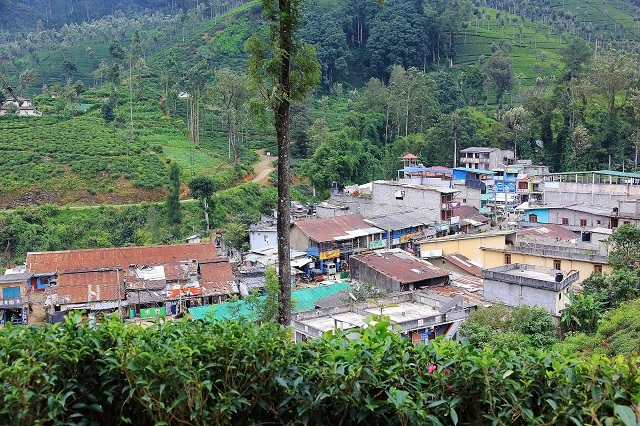 This project aims to contribute towards human development in Nuwara Eliya district through capacity building of youth, communities and local authorities; increasing resilience of the communities through settlement planning and provision of community infrastructure facilities; and through awareness creation towards mainstreaming plantation settlements into the administrative procedures of GoSL. 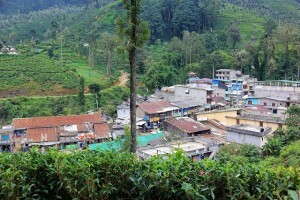 It is expected to directly benefit over 10,000 persons and indirectly benefit 250,000 persons in Nuwara Eliya district. 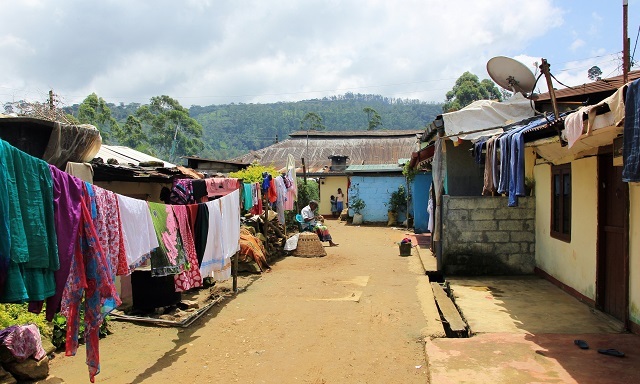 UN-Habitat will work in four plantation settlements and two surrounding villages in the Kothmale and Nuwara Eliya Divisional Secretariats in Nuwara Eliya district. The settlements are where the UN-Habitat is currently implementing a Housing Project for estate workers, with funding from the Government of India. Empowered and resilient plantation communities with satisfactory living conditions, safer settlements, better access to basic services and improved livelihood skills. To empower communities and increase employability of youth. To improve resilience and access to infrastructure facilities in plantation settlements. To facilitate mainstreaming of the plantation settlements into the administrative procedures. UN-Habitat’s people’s participatory process of project implementation will be utilised to implement this project. Local communities will be at the centre of the planning and implementation of all project outputs. The people’s process is based on the concept that mobilised and empowered communities are the best guarantee for sustainable improvement in living conditions, to reduce vulnerability and improve long term resilience. Consultations with selected communities and other key Government stakeholders will be held to develop settlement plans and to carry out community infrastructure interventions in each plantation and rural community targeted by this project. Existing Estate Workers Housing Cooperative Societies (EWHCS) will be strengthened and to the extent possible, implementation will be undertaken by them, with the support of the PHDT and UN-Habitat. UN-Habitat will implement this project in close collaboration with the Government of Sri Lanka, in particular the Ministry of Hill Country New Villages, Infrastructure and Community Development. The project will follow scientific settlement planning principles and ensure a holistic approach towards achieving the 2019 targets of the National Plan of Action for Plantation Infrastructure Development (NPA). The project will provide lessons for subsequent projects with a special focus on water, sanitation and waste management and skills development. It will also contribute to KOICA’s strategy to support fragile states and strengthen resilience towards sustainable development and establish an economic foundation for socially vulnerable groups. Improved capacities of men, women, youth, elders and persons with disabilities to participate in development of their communities. Improved employability of plantation youth through formal construction related vocational training. Settlement improvement plans incorporating disaster risk reduction and community infrastructure in keeping with local land use plans. Local stakeholders understand the need to incorporate these settlements into the mainstream development process. Wider dissemination at national and regional level. UN-Habitat Conducts Job Fair for Youth in the Nuwara Eliya DistrictUN-Habitat Supports Disaster Risk Reduction Initiatives in Nuwara Eliya District with Funding from KOICAUN-Habitat Supports Plantation Communities to Obtain their Basic Legal DocumentsAmbassador of the Republic of Korea to Sri Lanka Officially Opens Community Infrastructure Initiatives Implemented by UN-Habitat in Nuwara Eliya District.UN-Habitat Improving Employability of Youth in Nuwara Eliya District with Funding from KOICAHuman Development Initiative in Nuwara Eliya District: Ground-Breaking Ceremony Held at Dayagama Estate to Build a Community Centre.Construction of Permanent Houses for Estate Workers Underway in Nuwara Eliya District with support from the Government of India and UN-HabitatKOICA Provides UN-Habitat with US$ 2 Mn to Improve Living Conditions and Skills of Communities in Plantation Settlements in Sri Lanka’s Central ProvinceUN-Habitat launches the “Human Development Initiative through Empowerment and Settlement Improvement in the Plantation Settlements in Sri Lanka” Project in Nuwara Eliya District.